We conclude this work week with a review for an enhanced version of a popular 2013 hit. Guacamelee! Super Turbo Championship Edition now arrives on all eighth generation home consoles, but is it worth double-dipping if you've already played the original? In April of last year, the original Guacamelee! body slammed its way onto PlayStation platforms with much championing. It's over a year later and the team at DrinkBox Software are back at it again; this time with an expanded version of the game. Guacamelee! Super Turbo Championship Edition now finds itself on Wii U, PlayStation 4, Xbox One, and Xbox 360 with two new areas, all the downloadable content from the original PS3 and Vita release, and several new gameplay changes to make an incredible enhancement to an already incredible game. In Pueblucho, a small village in the Mexican countryside, lives a farmer named Juan. When the evil Carlos Calaca storms into town, causing nothing but devastation and destruction in his wake, he nabs Juan's love interest, planning to sacrifice her in order to fuse the land of the living and the land of the dead. Through doing so, Calaca will control both lands and be unstoppable. Juan loses his life when he goes up against Calaca, sending the brave but foolish farmer to the land of the dead. It's there he comes across a mysterious yet helpful entity that gives him a magical mask, one that transforms him from the modest-looking Juan into a strong and formidable luchador! in distress, but John cancelled at the last minute. The point here is that Guacamelee! STCE is unapologetic in poking fun at itself, its characters, its story, and even trends within gaming such as pre-order bonuses. This kind of writing remains strong throughout the game, from beginning to end. Guacamelee! STCE is an inspired take on the formula that Metroid made popular. 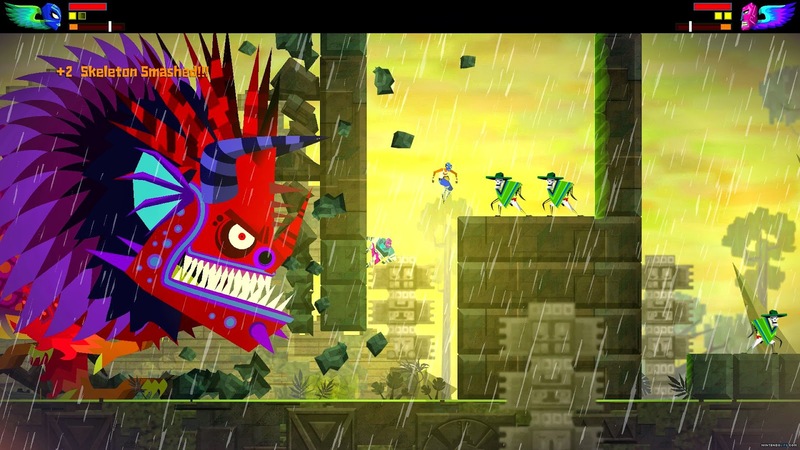 As is normal with this type of action-platformer, in Guacamelee! you slowly acquire new abilities and combat moves as your progress through the game. In this case, they're new wrestling maneuvers. These moves enable you to visit and access new areas of the map that you were previously unable to go. new enemy types are introduced. Guacamelee! STCE keeps things simple with color-coded blocks which signal which kind of move you to need to use on it in order to advance. It's just Super Metroid in that certain doors were specific colors, detailing which beam of Samus Aran she needed to use on it to get through. beast from its beauty sleep! 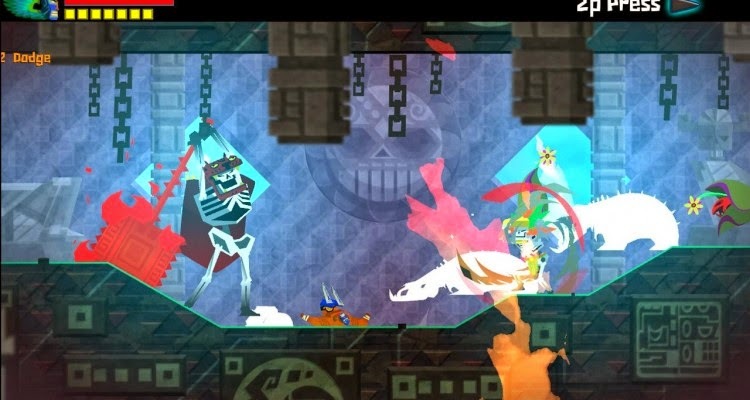 However, the moves that Juan learns throughout Guacamelee! are for much more than to just serve as keys to unlock doors. A meaty portion of the game is focused on using these luchador moves on enemies in combat to take out a swath of foes with relative ease. It's an awesome feeling to let loose on a group of opponents, leveling them down with a flurry of punches, kicks, directed throws, piledrivers, uppercuts, ground slams, lunging punches, charges, and much more. Getting a combo with a high number of hits is an incredibly rewarding feeling, and it makes encounters both engaging and enjoyable. A cavalcade of carnage. Earn those hits! Of course, you can't mindlessly mash buttons and expect to win. Enemies won't just stand there and take what you're dishing out. They will also advance with their own assaults, requiring you to roll and evade with precision timing in order to avoid taking damage. For later encounters, evading is a must, as some foes can not only attack fast but they can attack hard. A full health bar can empty into nothingness rather quickly for unassuming players. No, you need to fight with style, and doing so with some flash is a relative breeze once you get a groove. Seeing as the controls are ultra responsive and incredibly intuitive, that becomes an easy thing to get into. Doesn't Juan know he's about to become a pancake? When you're not battling enemies in and out of what can essentially be described as "kill rooms", where the goal is to defeat all foes within an area before Juan can proceed (something that's used a bit too often in this game), you're using the numerous luchador moves for other means as well. Guacamelee! STCE features a robust array of platforming that demands you to use your moves in creative and intelligent ways. You can jump into the air and use your uppercut attack to get one last height boost to reach an otherwise inaccessible platform. 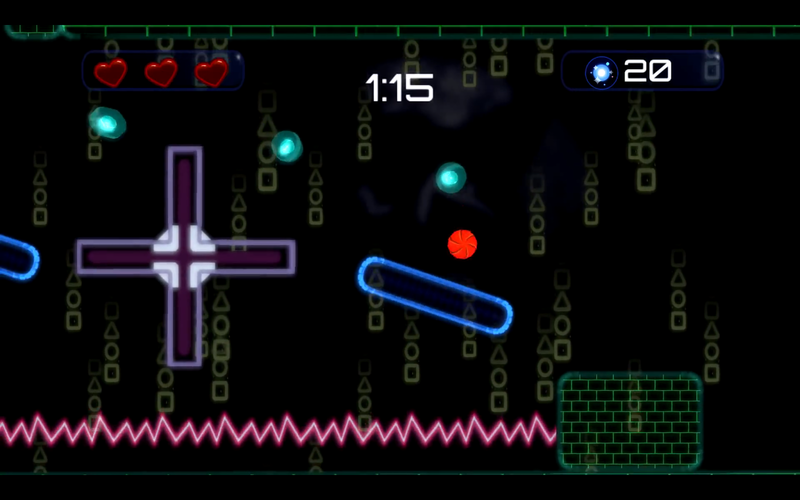 Later in the game there's a vast amount of points in the game where you'll need to use some finger-fu, switching between moves and button presses on the fly in order to successfully make it through the game's myriad platform challenges. 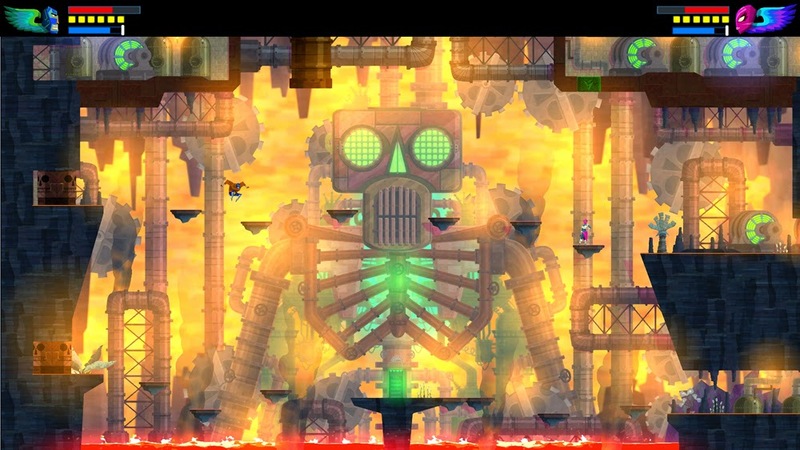 of platforming to be found in Guacamelee! STCE. This becomes even more complex when you factor in the earned ability to switch between two dimensions, the land of the living and the land of the dead. Some walls, blocks, and objects are in one dimension that aren't in the other, so switching between the two as you play is a must. 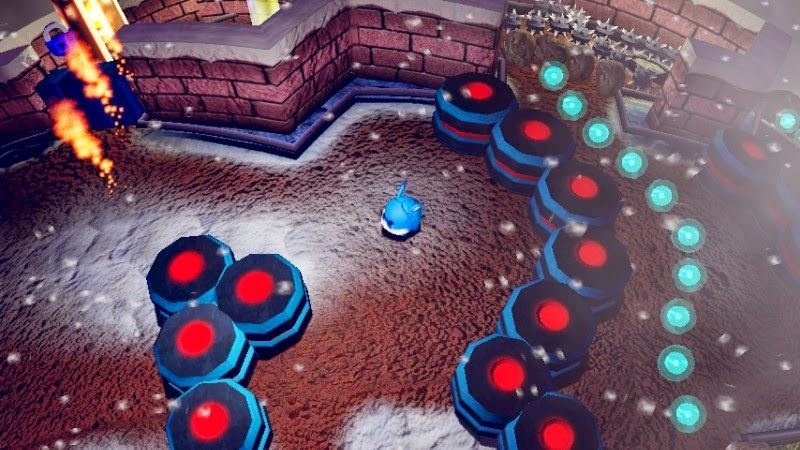 There's plenty of platforming challenges that take dimension-switching to great use, requiring you to leap between two walls to reach a higher place. The only catch is that one wall is in the land of the living while the other is in the land of the dead, so you have to switch between both dimensions during each jump. The team at DrinkBox Software should be commended for achieving a move set for Juan that works not only as a means to exterminate and out-muscle enemies in a combat setting, but also as something that is required to access new areas in the world of Guacamelee! STCE and see its bounty of secrets in a platforming and exploration setting. 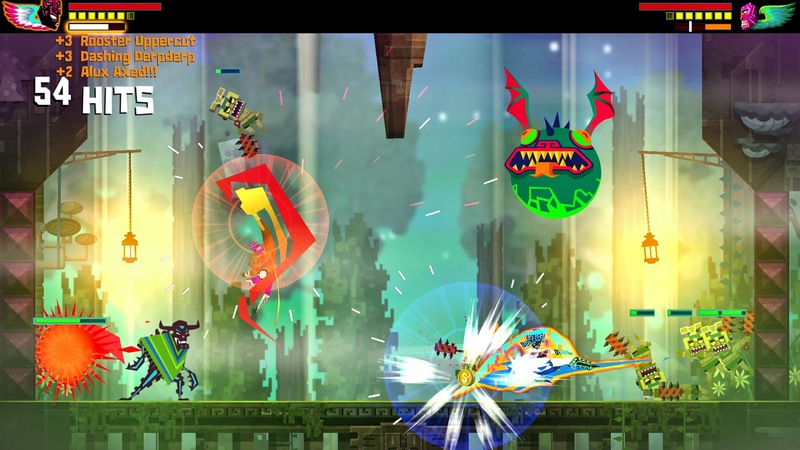 Like any true Metroid-style game, Guacamelee! STCE comes packed with a profusion of optional backtracking. Unlike some games, the backtracking here is nowhere near as tedious as it could have been. The assistance of giant stone statue heads that allow you transport between them makes venturing to previously explored areas a simple task to do and one that offers no need to traverse all the way across the map just because. Backtracking can give you new upgrades, such as increased health and much more that are stored inside chests spread across Guacamelee! STCE's many lands. 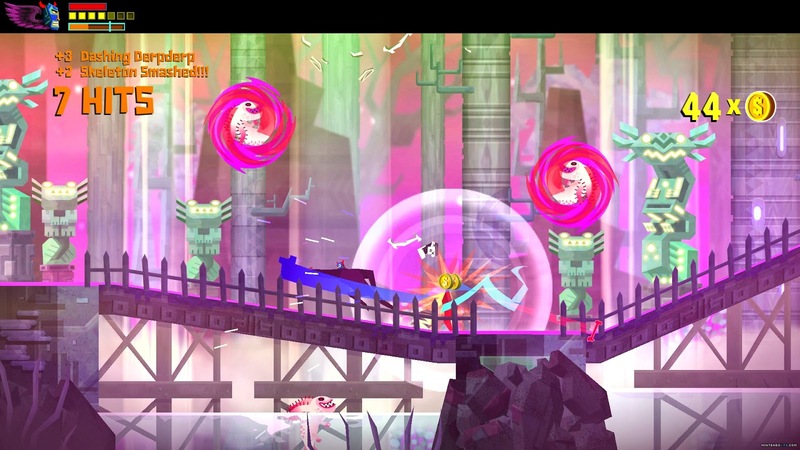 within this expansion of Guacamelee! Guacamelee! STCE may not be an overly lengthy experience, just clocking in at around 6-8 hours to complete. However, there's plenty of challenges to take on, such as the aforementioned discovery of chests throughout the world, the completion of side quests, and getting 100% completion in every area of the game and on your save file. In order to see the good and real ending of the game, you need to collect all of the mask pieces in the game. These are stored in some very tricky locations to reach, and most of them contain some plain dastardly platforming and combat challenges. In essence, one could get a ton of mileage out of Guacamelee! STCE, especially with the unlockable hard mode. 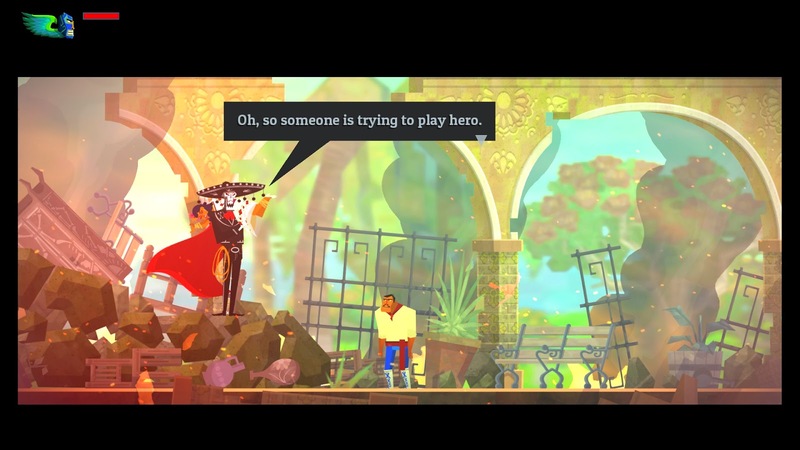 All of the preceding features would make Guacamelee! STCE worth owning, but seals the deal are marvelous lavish good looks and stunning animations the game possesses. Backgrounds are painstakingly detailed, characters animate splendidly, and all of the small little touches add up to create a wonderful game world to explore and thoroughly enjoy. Guacamelee! STCE is another example that a powerful art style wins over powerful tech any day. Add in some infectious tunes and you have one game that is a force to be reckoned with. of the game are truly amazing. Guacamelee! Super Turbo Championship Edition succeeds in pretty much every category you can put it to the test to. Its combat is deep and rewarding, the platforming is strong and solid, the sense of progression and pacing are well established, the map design makes it so backtracking isn't a bothersome issue, and the presentation is a darling. What it lacks in length, Guacamelee! Super Turbo Championship Edition has in charm, humor, tight control, excellent design, and terrific presentation. Viva la Guacamelee! We seem to be on a miniature kick of launch PlayStation Vita titles. First it was Uncharted: Golden Abyss yesterday, and now it's Wipeout 2048. We wonder, which is the better of the two? 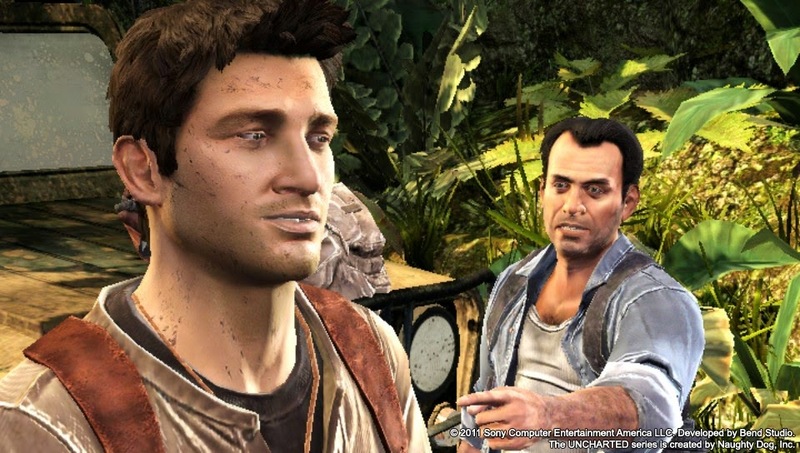 If you recall, we gave Uncharted: Golden Abyss an 8.25 out of 10. Will Wipeout 2048 speed past it? Let's find out. 2048 is the number of times I squealed with delight. Okay, I might be overestimating with that number. Since Nintendo seems satisfied to leave the F-Zero franchise dormant, despite the outcry of its most ardent fans, there's been a huge hole left by the series. 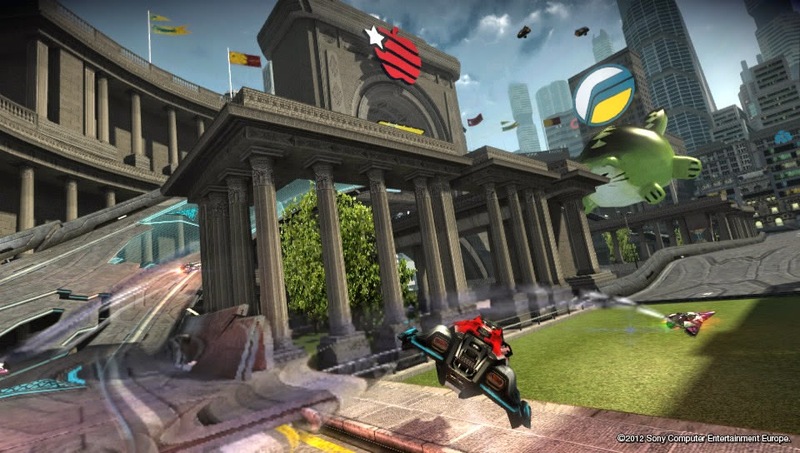 There's a strong demand for a futuristic racing franchise, and where Nintendo won't take up the slack, Sony and SCE Studio Liverpool did with an all-new entry in the popular Wipeout racing series. 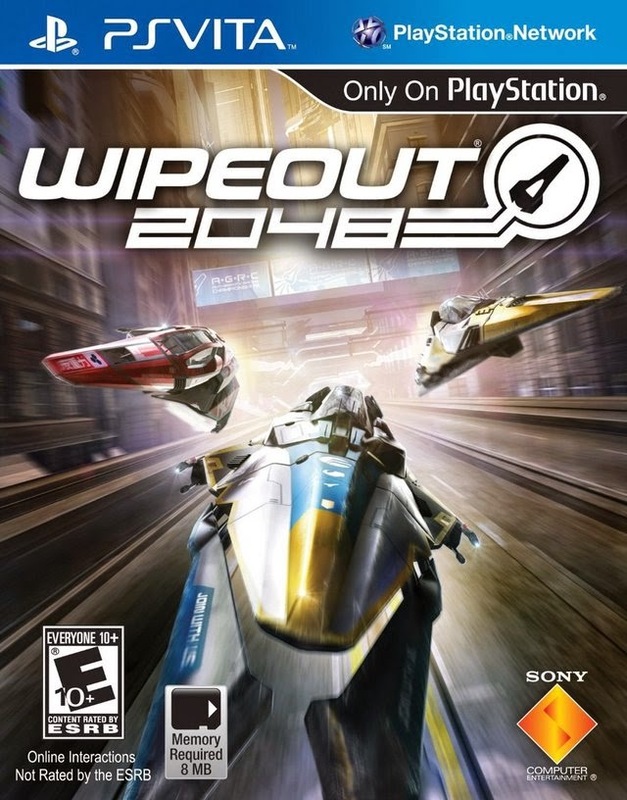 The PlayStation Vita received a ton of enthralling software at its launch, and one of these titles was Wipeout 2048, the most recent of the Wipeout franchise and sadly the last game SCE Studio Liverpool ever made before its doors were closed. Still, Wipeout 2048 is a game that cements the legacy of Sony's former Liverpool studio as a fantastic and creative bunch of people. Here's why. 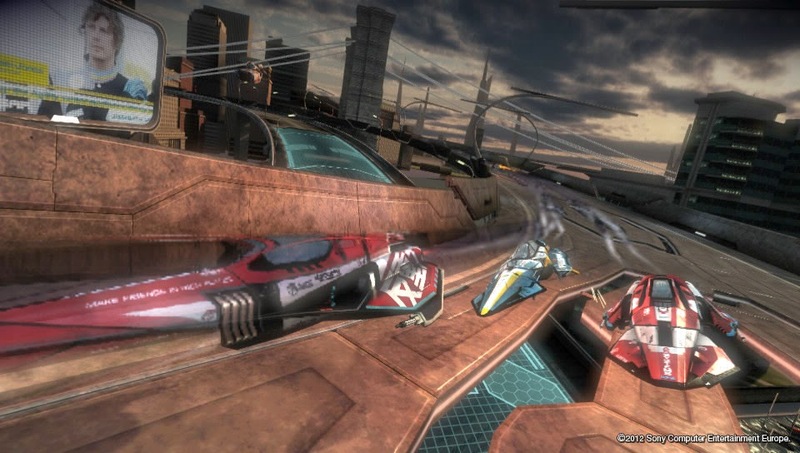 Wipeout 2048 is made to be a prequel to the rest of the games in the series. 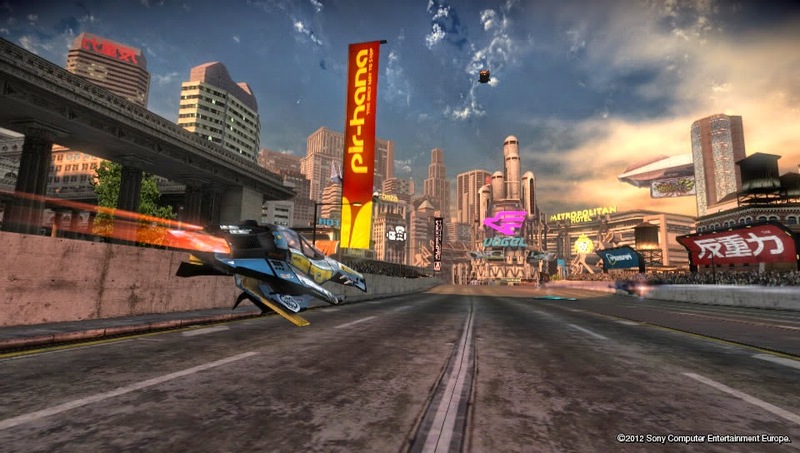 It establishes high speed racing with the series canon, but since F-Zero-like air races are not yet possible, the racing is mostly relegated to the city streets of the game's setting, Nova State City, a loose interpretation of the U.S.'s New York City. The game spans ten tracks across the numerous locales of Nova State City, including races through shopping districts, downtown, the subway system, an outdoor setting similar to Central Park, and a Brooklyn Bridge-esque track. 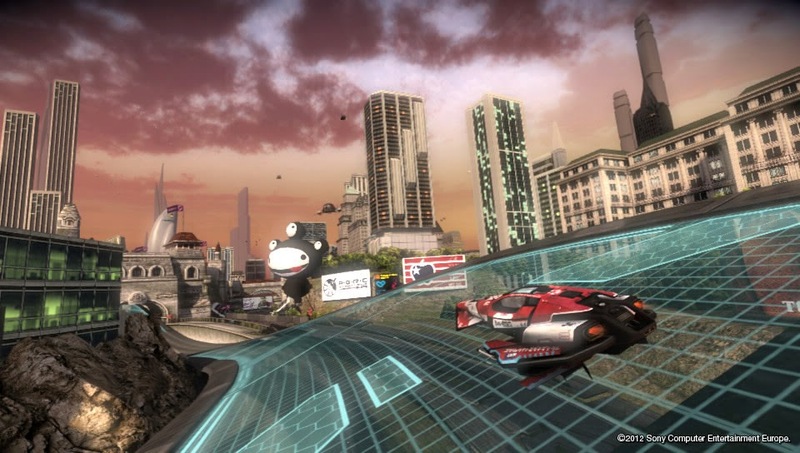 Wipeout 2048's single player campaign consists of playing through the first three years of the Anti-Gravity Racing Championships, or A.G.R.C. It's here where you participate in different events, earning experience points in the process and passes depending on how well you performed. Clearing the bare minimum requirement awards you with a pass for that event, while meeting the more challenging requirement gives you an elite pass, offering more experience in the process. An example of a normal pass requirement would be achieving at least fourth place in a race. Meanwhile, an elite pass would require you to finish the race in first place. There's multiple types of events to engage in. Some have you simply racing against seven AI opponents with either weapons on or weapons off. Another has you trying to best a set time in the traditional time trial event. Then there's the Wipeout 2048 exclusive Combat mode, which instead of racing, your objective is to use the weapons you pick up and unleash them on your rivals to score points. Every successful hit earns you points while destroying a ship nets more points. Finally, there's Zone events. These put you on a track with automatic acceleration. All you need to do is steer your ship and stay alive for as long as possible. As you complete more and more zones, the overall speed of your ship escalates. Speaking of speed, the starting events in Wipeout 2048 begin in the D and C classes. These are the slowest of classes, offering a perfect opportunity to get accustomed to the controls and learn each track's shortcuts as well as choking points. As you progress through the trio of years that the A.G.R.C. contains, the classes of races improve, giving a greater sense of speed but also a stronger emphasis on needing to know each track, how to drive the best racing lines, and knowing how to control each ship to the best of your ability. We got ourselves a barn-burner of a race here! Wipeout 2048 offers what you'd expect control option-wise. You have your traditional analog stick to steer, shoulder buttons to accelerate and brake, X button to fire weapons, circle to store weapon energy, and square to airbrake, the latter being a godsend in the faster classes. However, in an effort to use the Vita's hardware functionality to its full potential (like many launch titles for the system), SCE Studio Liverpool opted to throw in some unconventional controls as well. For example, you can use the system's built-in gyroscope to steer your ship with tilt controls, tap the touch screen to launch off and absorb weapons picked up along the tracks of the game, and use the back touch pad to accelerate. While it's nice to see an atypical control style used, it's best to stick with what works well, the traditional all-button setup. Not all races include weapons, but for those that do, there are now two types of weapons in this edition of Wipeout-- offensive and defensive. One is picked up by racing across a yellow pad while the other is nabbed through speeding across a green pad. Offensive weapons give racers items like rockets, missiles, and cannons to fire off and launch at opponents while the defensive weapons generally give players occupying the first place position means to ward off prospective usurpers or help restore energy to lethargic ships. These are items like boosts, mines, and more. I have a race to win! Wipeout 2048 possesses an online multiplayer campaign that is somewhat similar in structure to what is found offline. Races and combat challenges aren't just for those wanting to get first place, but they also feature different objectives for players to aspire to meeting and completing. Whether it's simply finishing a race while making sure to hit at least one other player with a weapon or finishing in the top half of the leaderboard, the online multiplayer brings a nice twist to the formula. Even beginning players can feel like they are making progress even if they continue to finish dead last in each and every race. Some might think this is reminiscent of a youth baseball team getting a trophy for just participating despite losing, but if it means more players online, then so be it. 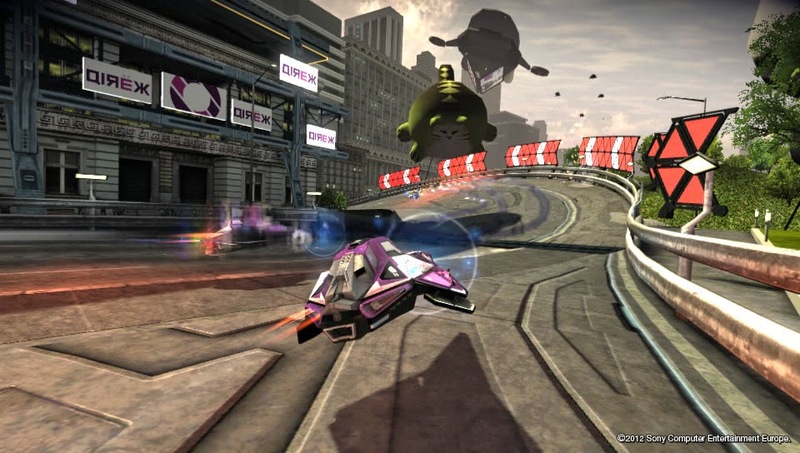 In addition to the the online campaign, players can also hop online and compete against PS3 owners who have Wipeout HD and its expansion pack, Wipeout HD Fury. This means the pool of racers expands even further, making it able to find someone even if and when the online competition of 2048 is slim pickings at best. 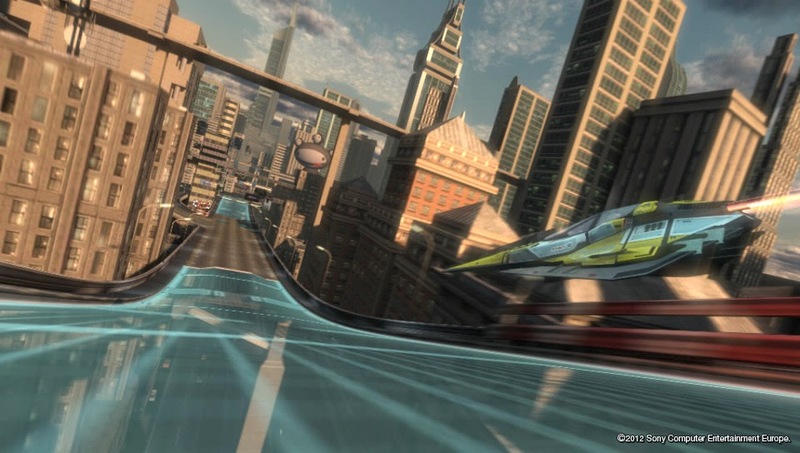 bridges, and more in Wipeout 2048. Wipeout 2048 is a feast for the eyes, delivering impressive and silky smooth visuals that are full of environmental details. 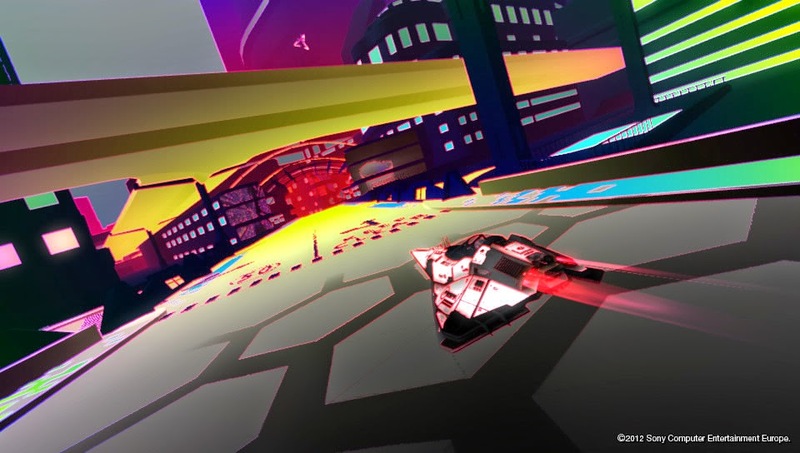 Even though you're speeding 'round at the speed of sound (okay, maybe not that fast, but I wanted to make a rhyme regardless), you can easily see what obstacles, turns, and whatnot lie ahead of you, which was something I worried about with the Vita's smallish screen and the game's abundance of objects and background eye candy to gawk at. Perhaps the only squabble with the performance of Wipeout 2048 is the long loading times when initially starting up a race. This can last upwards of 30-40 seconds. Thankfully, retrying races doesn't take anywhere near as long. at the beauty of Wipeout 2048. 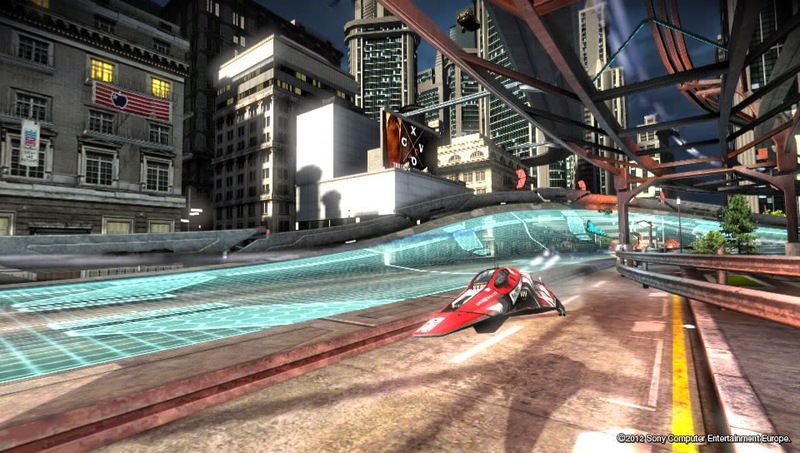 Wipeout 2048 gives players and perspective entrants of the A.G.R.C. a blistering fast ride from beginning to end. The single player campaign presents players with a wide array of varying tasks to accomplish and a steady difficulty curve. Meanwhile, the online offers those who try it out further longevity, as well as a multitude of opportunities to earn experience, unlock new vehicles, and share some great times with friends and total strangers. Although it's extremely depressing that SCE Studio Liverpool was shut down, it's at least comforting to know that it didn't go down with a whimper but instead with a bang with Wipeout 2048, a sensational futuristic racer. They say that "all that glitters is not gold." True, but does "all that is Uncharted that is not made by Naughty Dog bad?" While you ponder that question and while we wonder a smoother way to word that, check out SuperPhillip Central's review of Uncharted: Golden Abyss, a launch title for the PlayStation Vita. 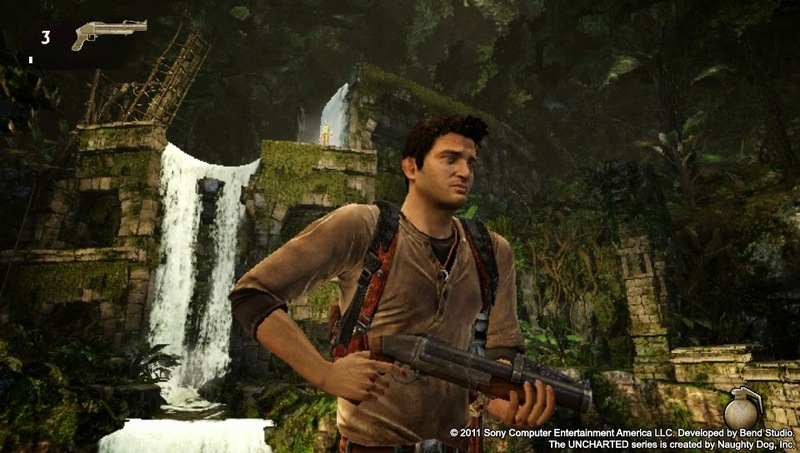 The Uncharted series goes into uncharted territory-- on the go. The PlayStation Vita showed immense promise when it launched. It not only had powerful hardware with a plethora of features already from the get-go, but it also had the games to back up that the system was ready and raring to go. It's my belief that the Vita's launch lineup was one of the industry's best. What amazed me with the Vita was how full console experiences from the PlayStation 3 could be brought over to the Vita with minimal compromise needed. 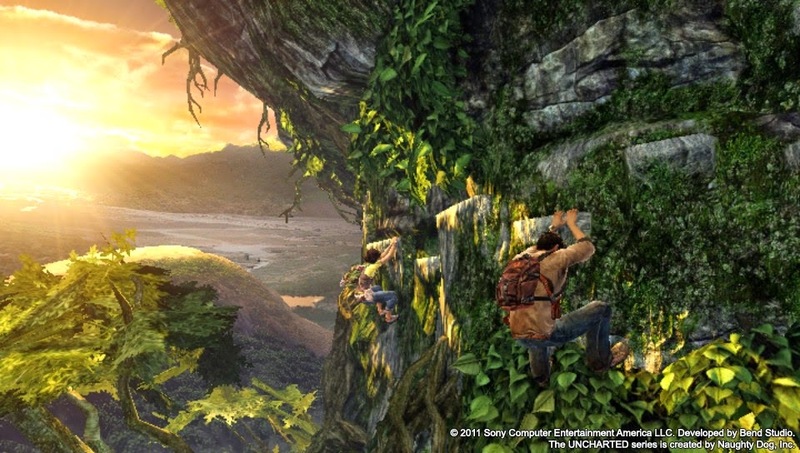 One such excellent example is Uncharted: Golden Abyss. 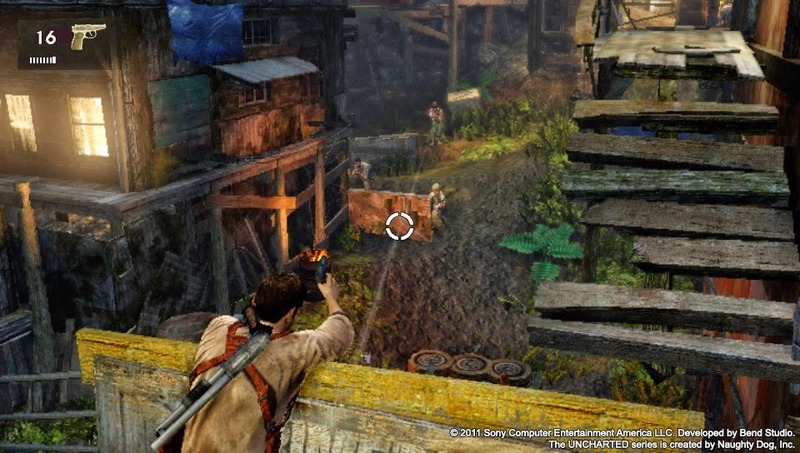 While the series's creator Naughty Dog may not have had a direct hand in developing the game, the always capable Sony Bend once again shows that they're more than a match for any property that is thrown their way. Beginning in the middle of things, Uncharted: Golden Abyss tells a tale of treasure hunting, betrayal, and the bonds between protagonist Nathan Drake and the many characters he comes across. 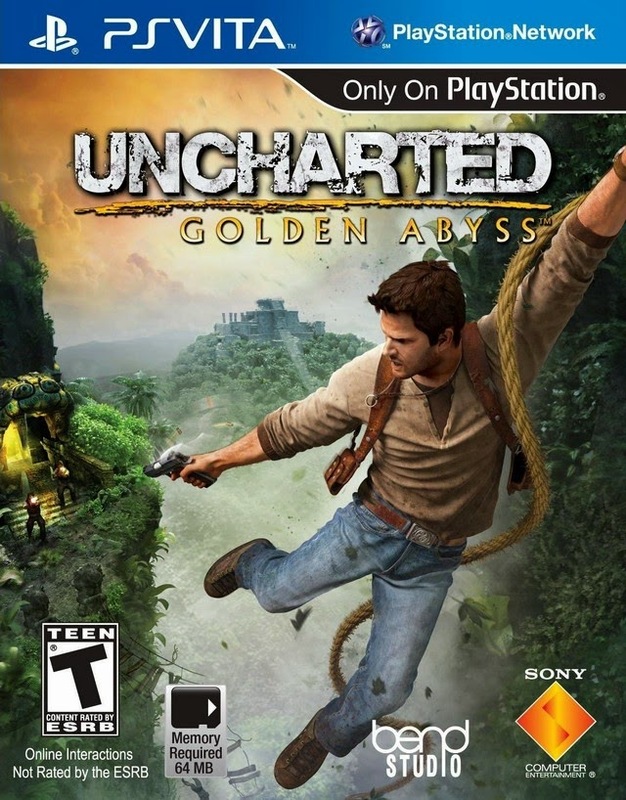 Taking place before Drake's Fortune, the first in the Uncharted series, Golden Abyss follows Drake as he is hot on the trail of a rival hunter Jason Dante. What occurs next is a rewind of sorts where the game delves into the events leading up to this moment and how the former allies in Drake and Dante had their friendship turn very sour. While narrative in video games is hardly a strong suit for the medium, the Uncharted series usually does a serviceable job on this end. In that regard, Golden Abyss shines, but nowhere near as brightly as its console brethren. got some work to do!" For those wanting an action-packed Hollywood blockbuster thrill ride on a portable, Uncharted: Golden Abyss is this. All in all it's a successful attempt at bringing Uncharted to a handheld with a big budget presentation like its console brothers. The gameplay is relatively the same too, with little touches added to work with the Vita's various tech and some scaled down aspects to better fit a handheld. it's always nice to find time to enjoy the view. Like its big brothers on the PS3, you're constantly moving from set piece to set piece, albeit these don't have anywhere near the gravitas of said console versions. As Nathan Drake, you're engaged in shootouts with a myriad of enemy grunts firing right back at you while you hide behind cover, occasionally coming out for the opportunity to potshot someone. This is all the while being aware of your surroundings, escaping cover when a foe launches a grenade near you to flush you out, and participating in the rare "cover your AI pal or he or she will die" engagement. and even then, it doesn't feel 100% right. The Vita's built-in gyroscope can be used exclusively or in tandem with the right analog stick to aim down the sights of Drake's numerous repertoire of weapons (Drake can only hold two at a time, one handgun and one heavier weapon like an AK47 or RPG, for instance.) Overall, I found using both to be an adequate combination, as the analog stick by itself can feel a little clunky, while the gyroscope can be used to fine-tune and adjust your aim ever so slightly. One shot left. Better make it count. Platforming, climbing, and light exploration have always been a part of Uncharted, and Golden Abyss doesn't stray too far from the formula here either, for better or worse. Platforming still feels as rigid as ever, not allowing a feeling of tightness. Instead, this is rather a feeling of leaping in the general direction of what you're supposed to grab, such as a ledge or rope, and being attracted to the object as if it and Drake were magnets. Precision-based jumping is not fully there, sometimes offering more moments of aggravation than satisfaction. Climbing cliff faces and other walls is made easier due to touch screen controls. These are totally optional, but tapping on the front screen where you want Drake to head towards mid-climb allows a greater sense of accuracy. When I found myself not knowing where to climb or drop to next, I could simply touch different sectors of the screen until I discovered a path for Drake to shimmy up like a monkey on a coconut tree. Don't mind me. Go ahead and admire the sunset. Touch controls are used for other means as well, and it comes across that for every action that touch controls use that works well, there's one that doesn't-- dare I say, one that even hurts the overall experience. Engaging with enemies is enjoyable, as when you're ready to brawl with them with Drake's bare fists, you touch the enemy when you're near them and start a quick mini-game of sorts. If the foe blocks your attack, they'll counter with a punch of their own. It's these moments as well as many other quick-time event-esque occasions, where you'll need to swipe your finger across the screen in the direction of the arrow. Doing this correctly results in success, such as knocking out the enemy with a bare-knuckle sandwich. Failing it can result in taking damage, or in the case of missing a finger swipe while climbing, can result in death. The timing is open enough so you usually have plenty of time to react. However, on harder difficulties (I'm looking at you, Crushing), the timing is very strict and quite frankly, very frustrating. when it comes to treasure. Many times in Uncharted: Golden Abyss you'll come across an ancient marketing that needs to have a charcoal rubbing done. All this does is force you to mindlessly rub the screen until the rubbing has been completed. This happens so much that it just detracted from the experience. Once was cool. Ten times? Not so much. Then there's puzzles that involve engaging the touch screen, turning dials, moving statue pieces onto what is essentially a grid, and arranging torn-up pieces of a document into a completed jigsaw puzzle of sorts. Again, some of this is fun, while others either overstay their welcome or actually make you loathe Sony Bend's attempts at control and gameplay innovation. 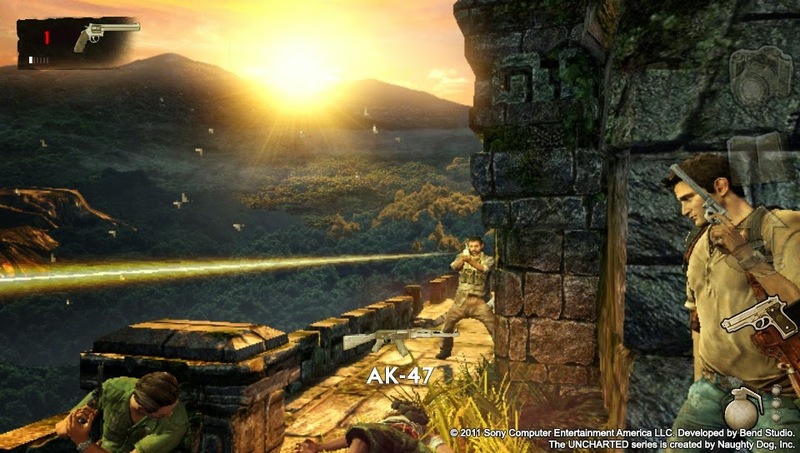 The campaign of Uncharted: Golden Abyss will take players an initial 8-10 hours to complete. There's multiple difficulties, an abundance of hidden treasures strewn about the 34 chapters of the game, points where you can take photos of specific in-game areas to satisfy optional conditions, and even bounties on enemies that can be offed, the latter gameplay element uses the Vita's Near functionality. It's important to note that Golden Abyss is much like Drake's Fortune as there is no multiplayer component to speak of, which will definitely bring down the longevity of Golden Abyss regardless of its admirable campaign content. Uncharted: Golden Abyss is a remarkably stunning game. It amazes a guy like me who grew up on black and white handhelds that I'm able to play a full home console-like experience on the go and in the palm of my hands. Golden Abyss manages to pull off looking just like it was a game for the PlayStation 3, and it does so while running at a buttery smooth frame-rate. This is Uncharted on a handheld, and it is glorious. I'm here to shoot thugs and style my hair. ...And I'm all out of styling gel. 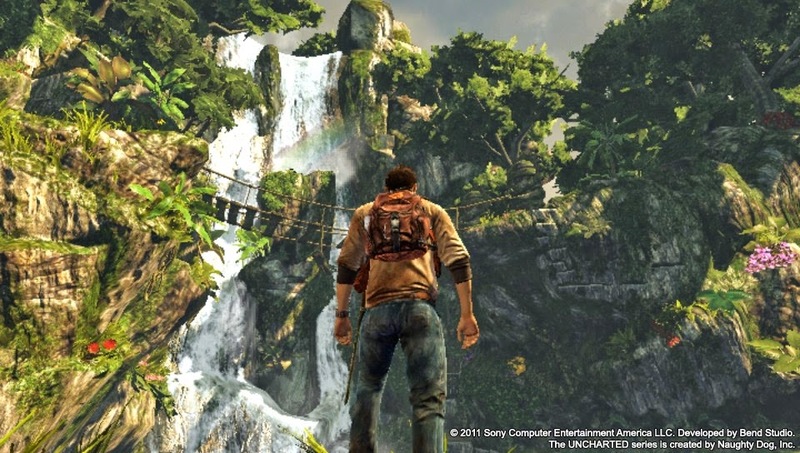 For some, Uncharted: Golden Abyss could just be denounced as a tech demo for the PlayStation Vita hardware. While it does serve that purpose, it's also just a well done game in general. 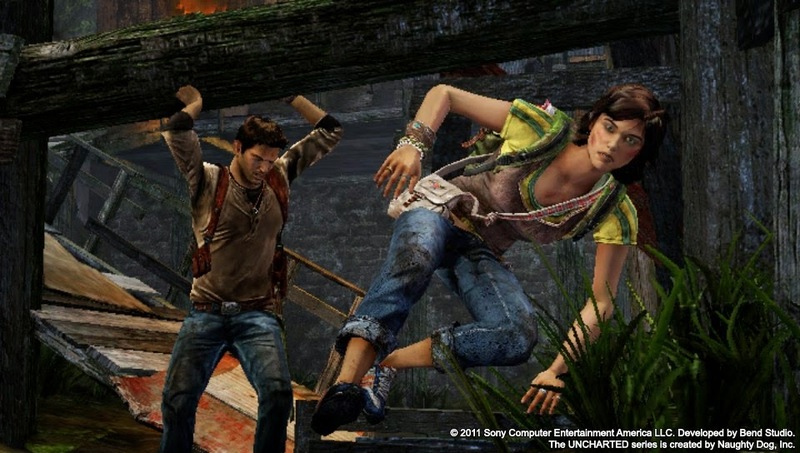 It won't thrill fans as much as the console entries, due to the scarcity of large scale set pieces, possessing a somewhat subdued story in comparison to what the series has delivered in the past, and having a small amount of locales represented; but Uncharted: Golden Abyss is one treasure that Vita owners should not go without hunting for. It might not be a priceless treasure like what can be found in the fabled "Golden Abyss", but Uncharted's debut on a handheld is a mighty fine one. Our first review of July is an indie game that many were following ever since its announcement. It's the Wii U eShop title Armillo from Fuzzy Wuzzy Games. Will you have a ball playing Armillo, or is it a game better left for roadkill on a desert highway? The Nintendo eShop on the Wii U started off slow with but a trickle of support in the early goings. Now, we're seeing an abundance of new software that really showcases the amount of work Nintendo is putting in with indies to develop for the Wii U. While indies aren't a 100% replacement for big third-party studios and their games, their titles fill a hole that Nintendo can't possibly fill on its own. One such developer to fill the gaps in Nintendo's release schedule is Fuzzy Wuzzy Games. Their first Wii U project, Armillo, rolls onto the Wii U eShop and is a surprisingly well made game. 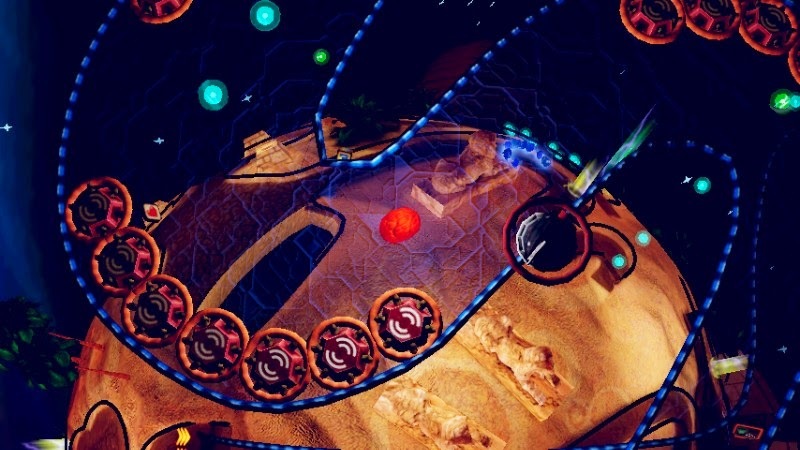 Armillo has you playing as the eponymous armadillo, rolling around large spherical planets that make up the levels of the game. What makes Armillo so brilliant is how it creatively uses a simplistic control scheme (left stick or accelerometer to roll, one button to charge, one to jump) and premise, and creates so many different scenarios based off of both where you're constantly amazed by what obstacle and challenge awaits you next. a cold out there in the rain! 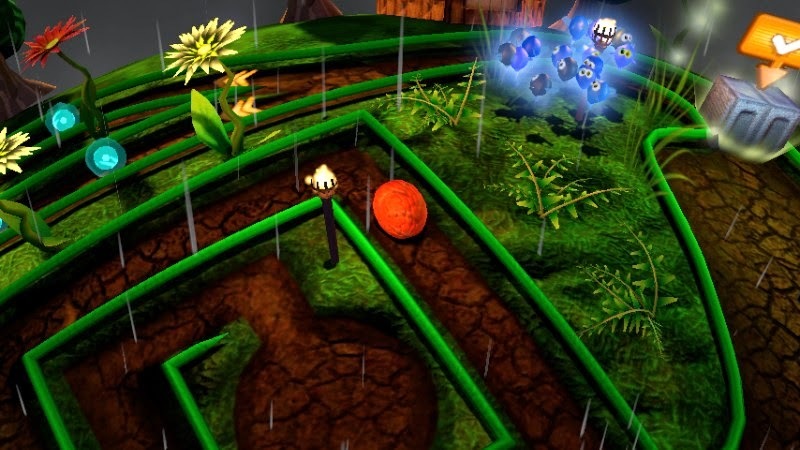 At its core, Armillo is a 3D action-platformer with a lot of puzzle elements to it. When you're not carefully maneuvering around narrow pathways, leaping off of moving blocks which precariously hover over black pits, avoiding getting pushed off a platform by an enemy, dodging the lasers and fireballs of automated turrets, or smashing through blockades, you're doing a lot of work with your mind too. You're finding the right colored key for a locked door, pushing blocks around in a particular formation, rolling across switches in the correct order to open gateways, and discovering hidden paths that lead to alternate routes. like its own unique place. 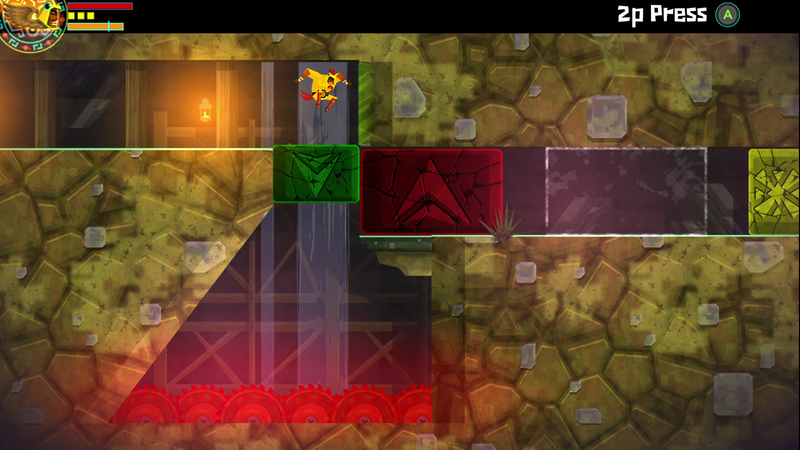 Throughout the game, Armillo earns new abilities and comes across new power-ups. He can grow to massive size, making once impassable roadblocks able to be passed through like they weren't even there; he can don a helmet that fires a laser or stream of bullets at foes and obstructions in the path; and he can explode into the air like a firework, perfect for taking out airborne distractions. got a wild ride with Armillo? Armillo's adventure lasts five worlds, each spanning four levels apiece. Levels themselves last around five minutes at most for a first go-around, and every final level of a world is boss level. Armillo's campaign is really at a perfect length, as it doesn't end too short and it doesn't overstay its welcome. It's just enough to make for a meaty adventure, well worth the price. Even after the game has been beaten (which takes a few hours), you're nowhere near finished with Armillo, as there's plenty to unlock. 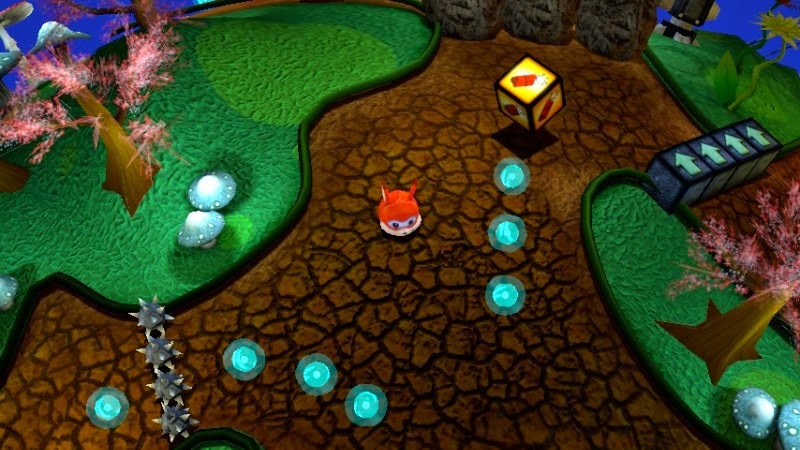 The game's Critter Shop allows orbs found in levels to purchase new goods, such as extra health, extra lives, and lasting abilities that can be found nowhere else in the game. 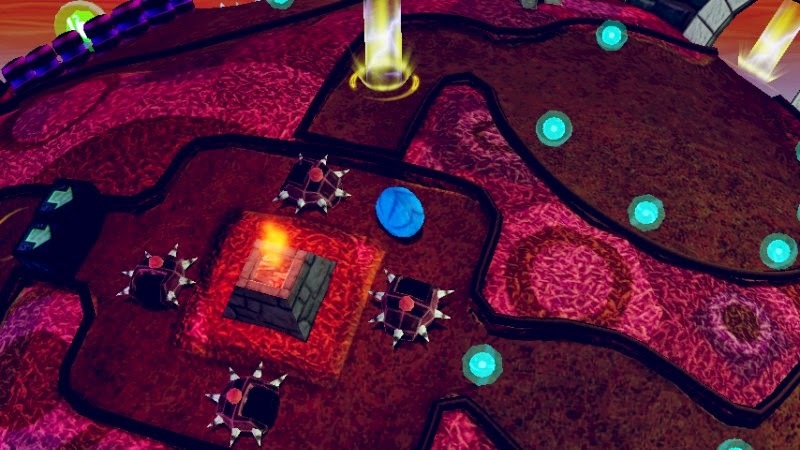 Special items resting inside levels unlock so-called Secret Levels, further giving players incentive to replay levels . from hot to cold and vice versa. Unlike the 3D sphere-traversal levels Armillo's story mode possesses, these Secret Levels are pure 2D affairs. These require much more skill and dexterity than what is found in the story. As these levels are timed, you need agile thumbs, quick reflexes, and a cool head. That said, these levels don't control and tightly as their 3D counterparts, unfortunately, so sometimes the more precision-based jumps can become an effort in aggravation. but the latter is partly due to how Armillo handles. In addition to simply beating the 3D and 2D levels of Armillo, you can attempt to earn a gold medal on each and every level in the game through scoring enough points. At the time of this writing, some of the medals are glitched, not authorizing the awarding of a gold medal despite the fact that you've earned more than enough points to break the threshold required. This will undoubtedly be patched, so it's not that much of a long-term concern. The worlds and areas Armillo rolls about on are full of impressive details, satisfying textures, and cool particle effects here and there. 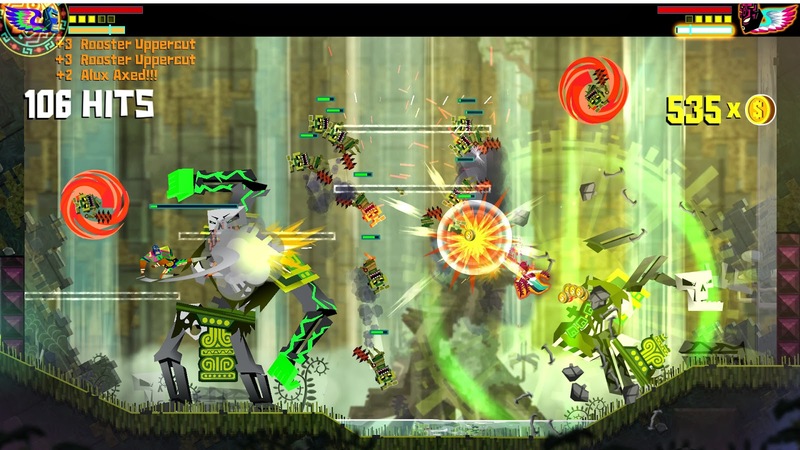 While Armillo generally runs at a steady 60 frames-per-second. at certain inexplicable times, and especially when a lot is happening on screen, the frame-rate will take a quick, noticeable hit. It's nothing that destroys the experience, but it is easily apparent to the eyes. Armillo's soundtrack consists of electronic music, and the highlight and real treat to the ears comes in the Secret Levels, where chiptune music is king (or queen, if you prefer). is a retired Olympic event? Look it up! Armillo is a game that looked impressive mid-development, and it's such a welcome thing to have the game defy the already positive expectations I had for the game. It's charming, it's a wonderful value, and it mostly plays superbly. The amount of content for the low price is staggering, so it's no question that you should definitely roll on over to the Wii U eShop and pick up Fuzzy Wuzzy Games's Armillo today. Sure, we might be back from our week-long hiatus, but SuperPhillip Central's Favorite VGMs still has its mind on vacation! This installment of SuperPhillip Central's Favorite VGMs travels to all sorts of places, from The Himalayas to India, from a limestone cave to Zora's Domain. Such games represented this time around include The Legend of Zelda: Twilight Princess, DuckTales Remastered, and Xenosaga III. 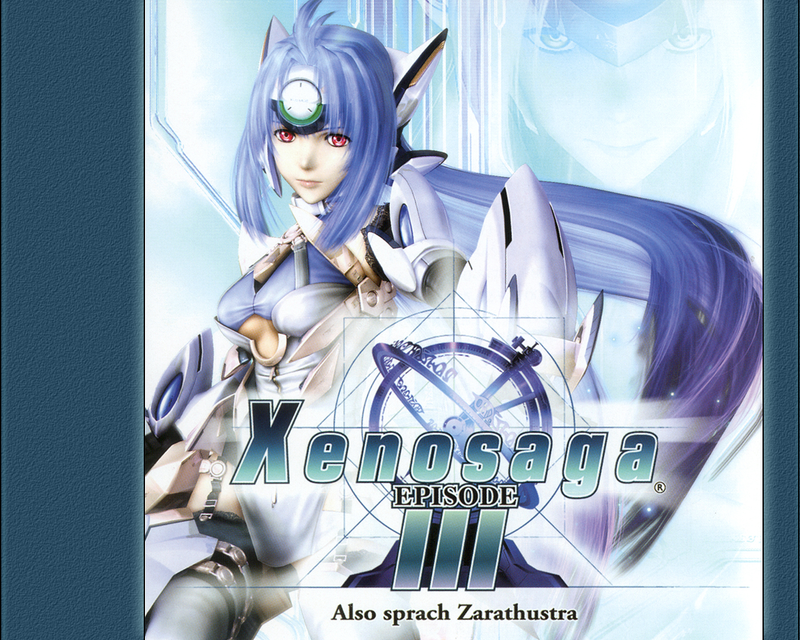 As usual, just click on the name of the VGM volume to be transported to its YouTube link. It's the power of the Internet! 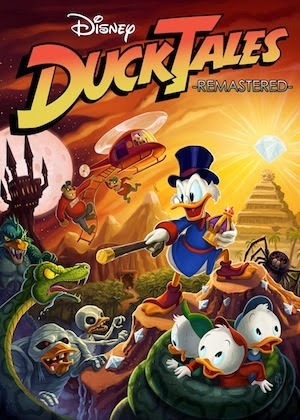 Jake Kaufman provided his own take on the various classic themes of the NES hit DuckTales. The end result was something very, very good for the ears! Even if you didn't find the new arrangements as endearing as the originals or wanted a more classic experience, you could unlock the 8-bit versions from the NES original. Sly Cooper and the gang are one of two Sony platforming properties receiving motion pictures coming soon. The other is Ratchet & Clank. That's just random trivia-- onto Sly 2! 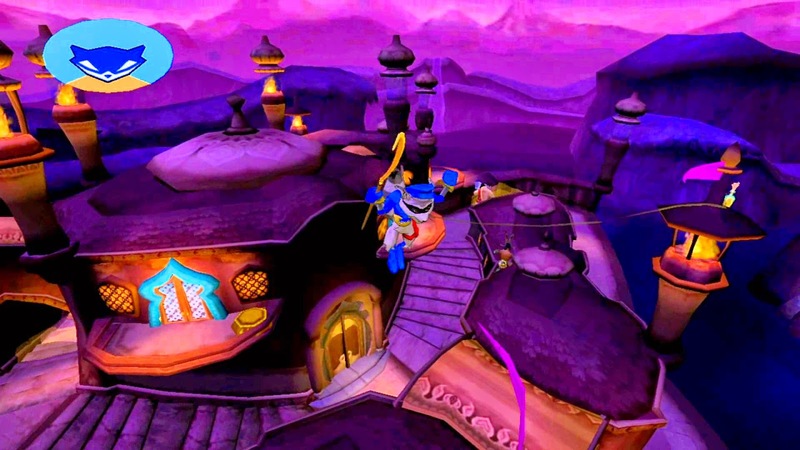 Sly 2: Band of Thieves featured larger hubs and a more open-world-like execution to them. We liked the formula shown in the original Sly Cooper, but the one used in its various sequels isn't bad either! 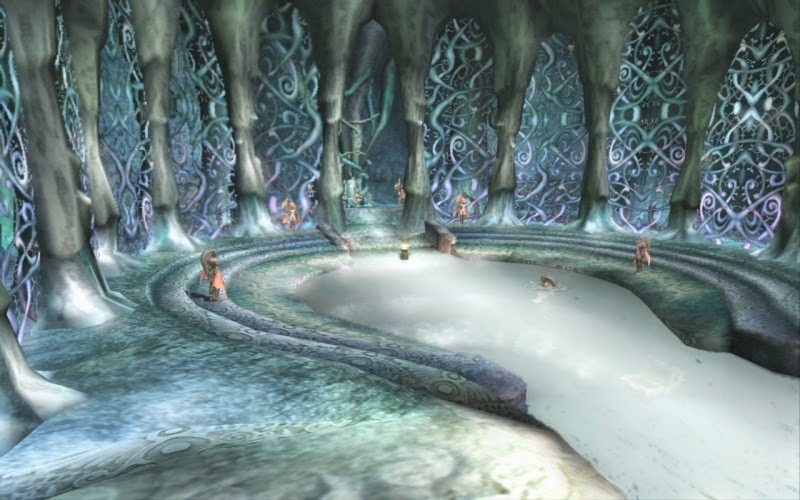 Originally from The Legend of Zelda: Ocarina of Time, Zora's Domain gets a huge upgrade in Twilight Princess. Not only is the area more amazing to marvel at, but the music is absolutely even more soothing than what was in Ocarina of Time. How that's possible is beyond us, as the Ocarina of Time version was already enough to soothe the savage beast, as they say! 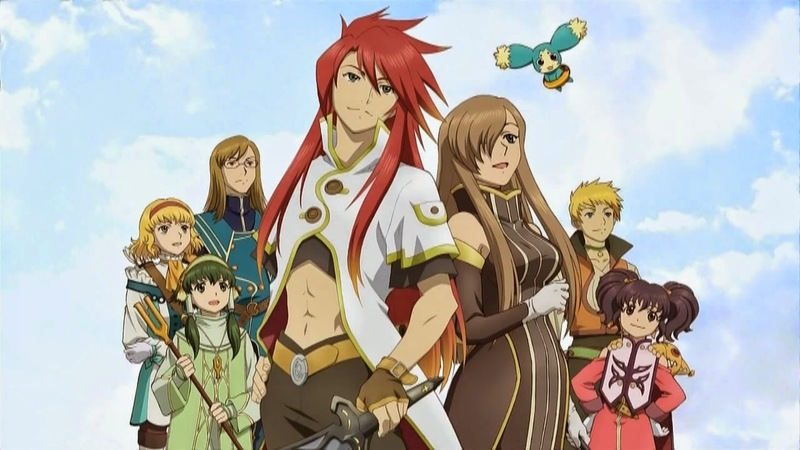 Phil said in his review of the 3DS version of Tales of the Abyss that the music wasn't particularly memorable save for a few select tracks. One such track is "Meaning of Birth", a symphonic wonder that definitely brings the drama to the game. Although the cast of characters is one of the most obnoxious parties to ever grace a JRPG, at least the battle system was worthwhile, right? We conclude this edition of SuperPhillip Central's Favorite VGMs with a relaxing piece. It's played in one of the dungeons of the game, and it's quite low-key. The deep strings heard throughout the piece invoke a feeling of calm, despite the place being full of ravenous monsters ready to take your battle skills up to task. 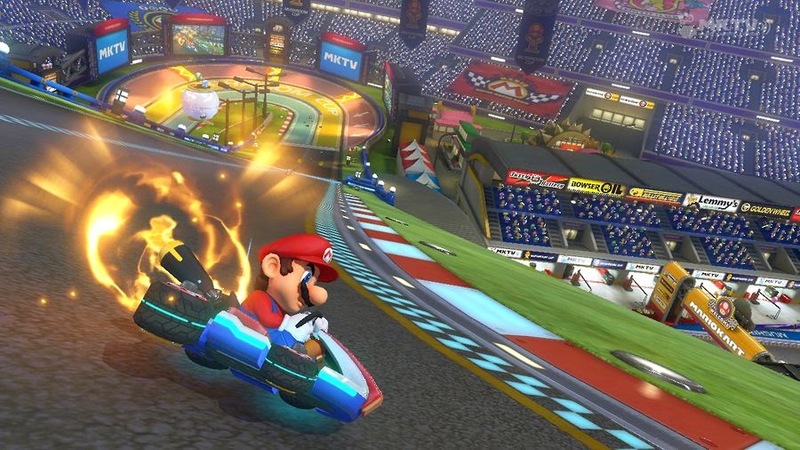 Mario Kart 8 is SPC's game of the month! It's a summer of superheroes and blockbusters it seems this season at SuperPhillip Central. It all kicked off with The Amazing Spider-Man 2, which swung its way to an above average 6.5 score. 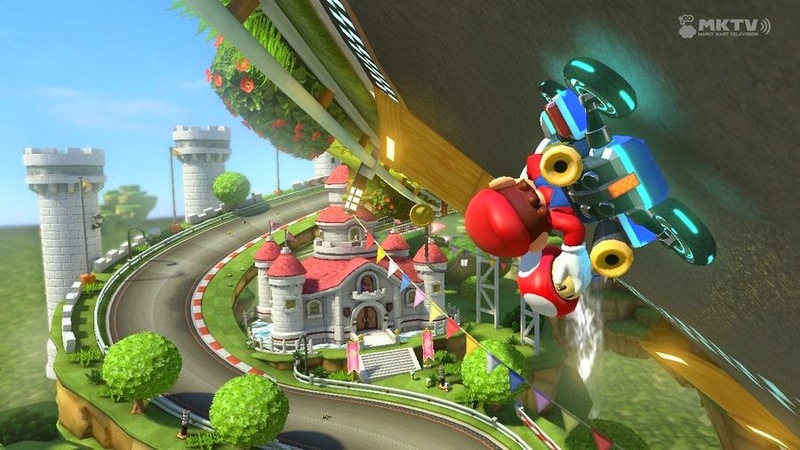 Then, our game of the month revved and roared onto the site with Mario Kart 8 getting a 9.5. The superhero goodness wasn't over with Spider-Man, as Batman's handheld debut on both the Nintendo 3DS and PlayStation Vita, Batman: Arkham Origins Blackgate, was met with a 7.25. Then we went digital with Ittle Dew (8.0) and Klonoa: Empire of Dreams (8.0). The exuberant eccentricities of Tomodachi Life rewarded that welcomed breath of fresh air on the 3DS a satisfying 8.5. Finally, we rounded out the month of June with a retro review of the great Jak and Daxter: The Precursor Legacy (9.0) and took a trip to Gotham with Batman: Arkham Origins for Wii U (8.25). July looks to heat our site up even more with hot new reviews, including our special landmark 500th review! we had to post a pic of it twice!